A lawsuit filed by the Delta Kappa Epsilon (DKE) Fraternity in February of 2015 will be heading to trial after a motion filed by the University’s legal counsel was rejected by the Superior Court of Middlesex on April 26. The motion—known as a motion for summary judgment (MSJ)—was intended to dismiss the fraternity’s case outright before a trial under the argument that one party’s case is so strong that it doesn’t warrant a jury. According to court documents, a key holdup for Judge Julia Aurigemma was what she cites as disputes over the University’s intent in forcing DKE to vacate its house. 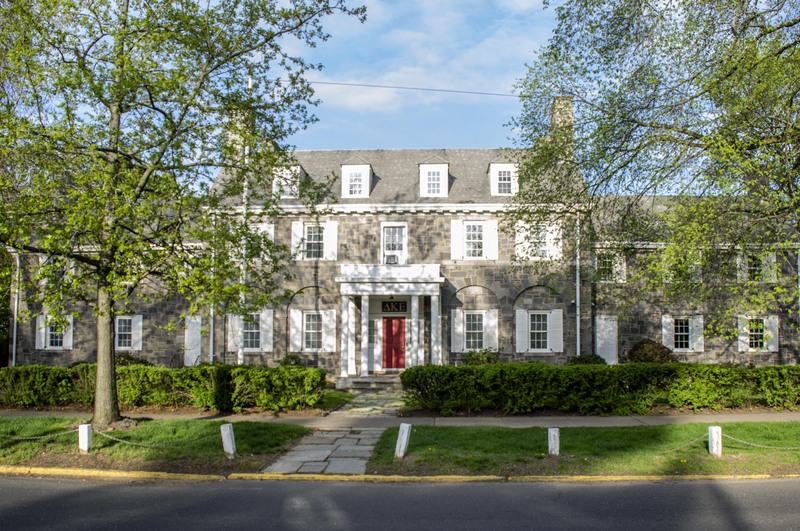 Specifically, the question is raised whether the University acted within its contractual rights to force the fraternity to vacate the house and possibly acquire it later. Also in dispute is whether the administration set new residential standards that it arguably knew the fraternity could not possibly achieve in the given timeframe. “There are genuine issues of material fact as to whether the defendants intended to drive out the fraternity and acquire DKE House for the University’s own use and benefit (see Rockwell v. Quinter),” Aurigemma’s decision on the request for summary judgment reads. Much of the student activism that built up to the University’s decision centered around sexual assault on campus and issues of gender inequity. At the heart of the suit is a discrimination claim in 2015 from former plaintiffs Tucker Ingraham ’17 and Zac Cuzner ’17, both brothers of the fraternity, who argue that they were promised housing in the house owned by DKE at 276 High Street—ironically, directly across from the President’s Mansion—which largely occurred during recruitment for student-athletes. The chapter, historically referred to as the Kent Literary Society (KLC), also argued that, as an organization, it would suffer irreparable damages if it were to remain vacant. The University, on the other hand, argues that it acted within its contractual obligations to provide housing and that there was no malice in their displacement of DKE. When asked about the dismissal, Dean Michael Whaley said that, due to the ongoing nature of the suit, he could not speak much about the case. However, he did offer a recounting of the events that had occurred starting in September 2014. Despite the motion being dismissed, Whaley remains confident that the University will prevail in court. The Argus reached out to Ingraham for comments from DKE. Citing his status as a former plaintiff—replaced by Jordan Jancze ’18—he noted that he could not discuss the case, and referred The Argus to the fraternity’s legal counsel and alumni association. In a press release shared with The Argus, Gary Holmes cited what he saw as nefarious intentions on the part of President Michael Roth ’78 based on emails that have surfaced since the suit was filed. Gary Breitbord ’79, president of Wesleyan’s DKE Alumni Association, said he was grateful for the ruling, but wishes the brothers could have kept their house and thus avoided the entire affair of the lawsuit. Due to a significant amount of the debate regarding DKE’s residential status on campus being centered around sexual assault, The Argus spoke with the Sexual Assault Response Team (SART), asking for updated statistics on whether the number of sexual assault reports had decreased since the University made residential fraternities coeducate, and whether the elimination of all-male residential fraternity spaces had played a corollary or causal role. SART did not have these specific statistics, according to Intern Lex Spirtes ’17. Alysha Warren, the University’s sexual assault resource coordinator and therapist, could not be immediately reached for comment. According to the University’s annual sexual assault response report, the University received 5 fewer formal reports of sexual misconduct in 2016 compared to 2015, and 32 fewer than the peak of 44 reports in 2014. The figures for 2016 were partial up until August o that year, with no students having been found responsible for violating the University’s sexual misconduct policy out of the two incidents resulting in a hearing up until that point. Jury selection for the trial will occur on May 24 at 9:15 a.m. at the Middlesex Courthouse. Camille de Beus can be reached at cdebeus@wesleyan.edu. With all the recent controversy around the Title IX Office, and the other numerous factors which encourage/discourage the reporting of sexual assault, I imagine it impossible to establish any kind of relationship between the two factors. There is so much wrong with this article. It seems to have been written, or vetted, by the Administration. I do not see much independent reporting. Rather than quote Dean Whaley, a named defendant, perhaps it would be best to link to the opinion itself so that your readers can form their own opinions on this important issue. Greek life at Wesleyan is a joke, and we do not need it. The only people crying are the football hockey boys that have no business going to school here without some coach giving them help in admissions. Those dudes are literally a dime a dozen: just rich east coast white boys.